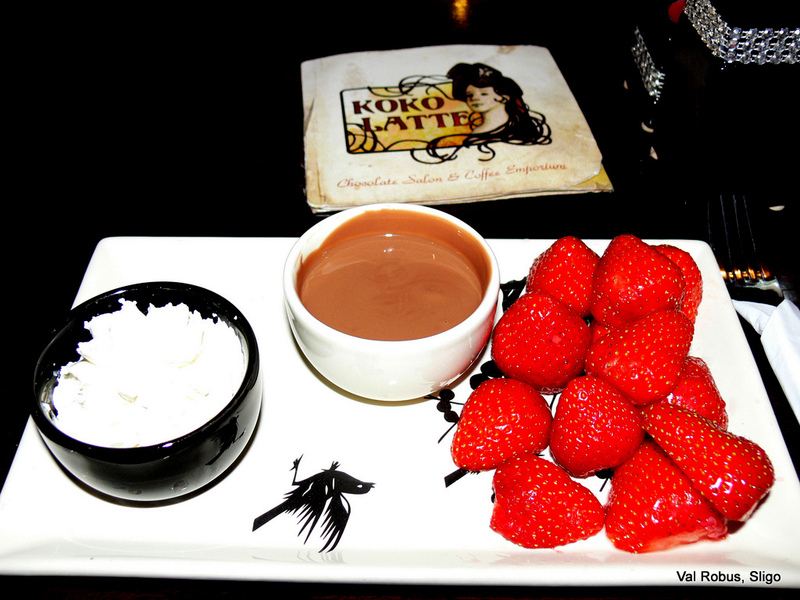 If you are looking for chocolate heaven, KoKo Latte is the place to visit. It’s located in the Quayside shopping centre, Sligo and you will smell the delicious aroma of coffee before you set eyes on the shop. There are all kinds of goodies to be had and something to suit all pockets starting at only 40 cent. 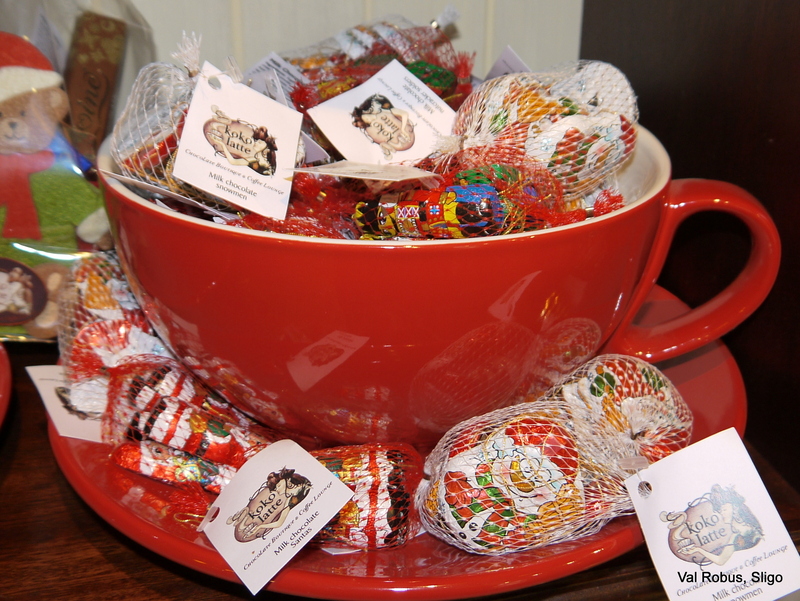 It’s a must visit shop for the chocolate and coffee lover in your life. 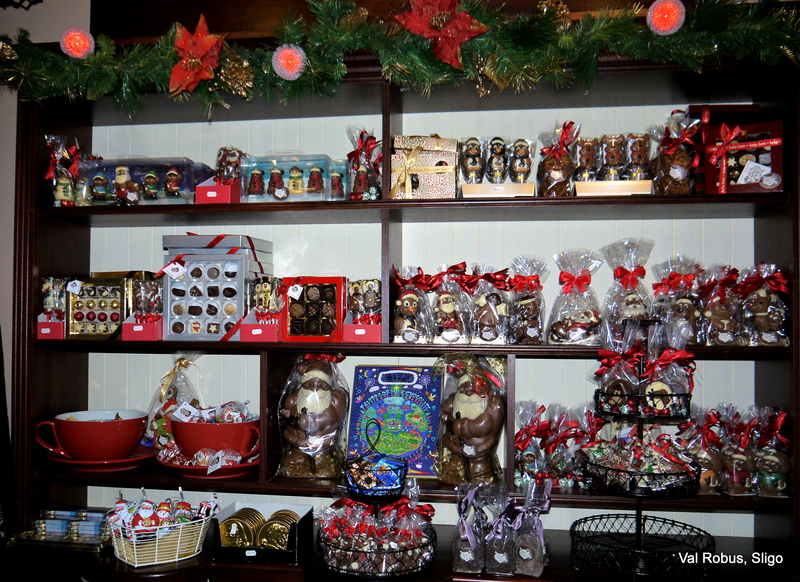 There are chocolate coins, chocolate Santa’s, robins, angels, snowmen, polar bears, reindeer’s and so much more. 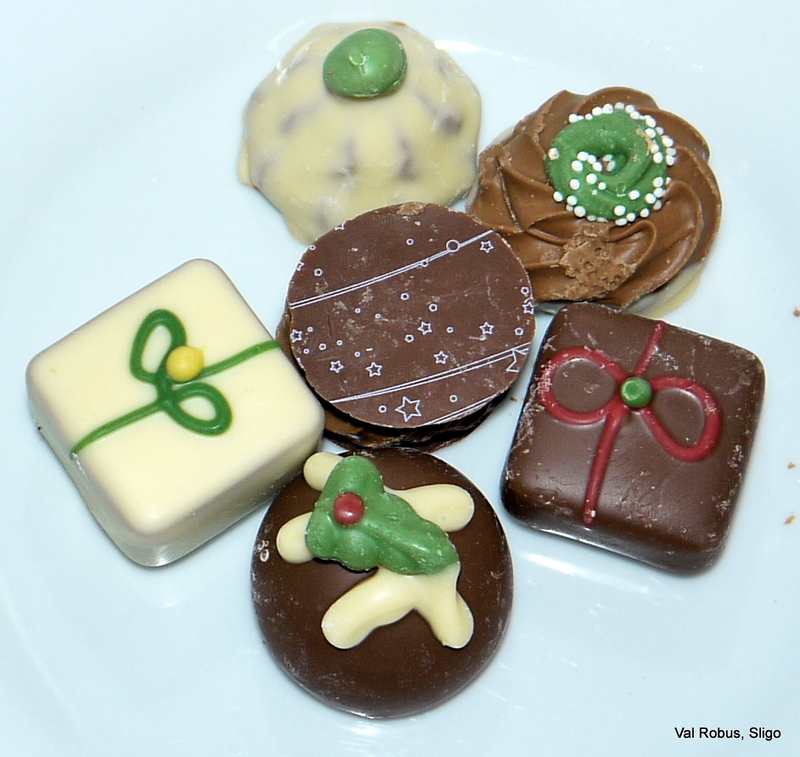 You can also pick from a wide selection of loose chocolates in all kinds of designs and flavours and the staff will either put them in a box or a bag, whichever you prefer. 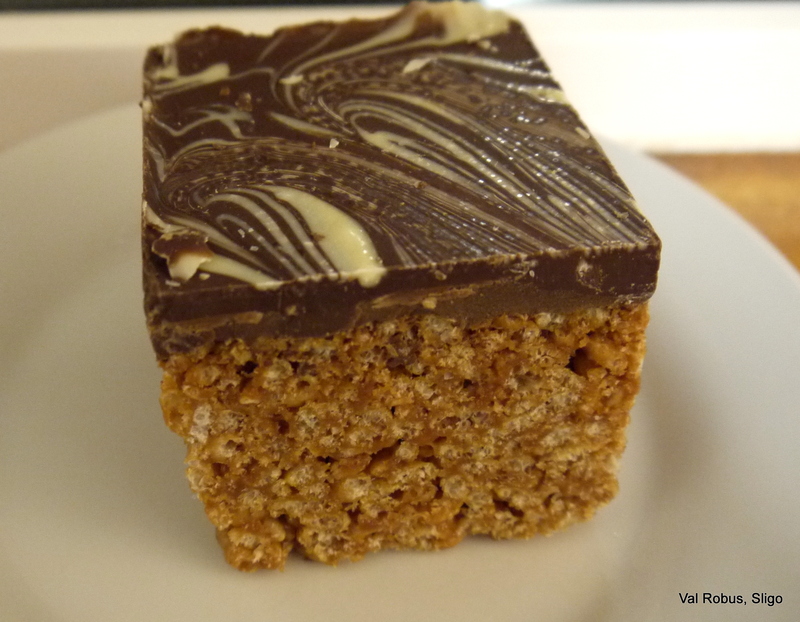 If you happen to be worn out after all that shopping there is also a wonderful coffee shop and I have to recommend the Toffee Crisp Cake. Don’t forget chocolate is for life not just for Christmas so do call in during the year when in the Summer time you can treat yourself to strawberries and cream with melted Belgian chocolate. Now if that isn’t a little piece of heaven I don’t know what is. 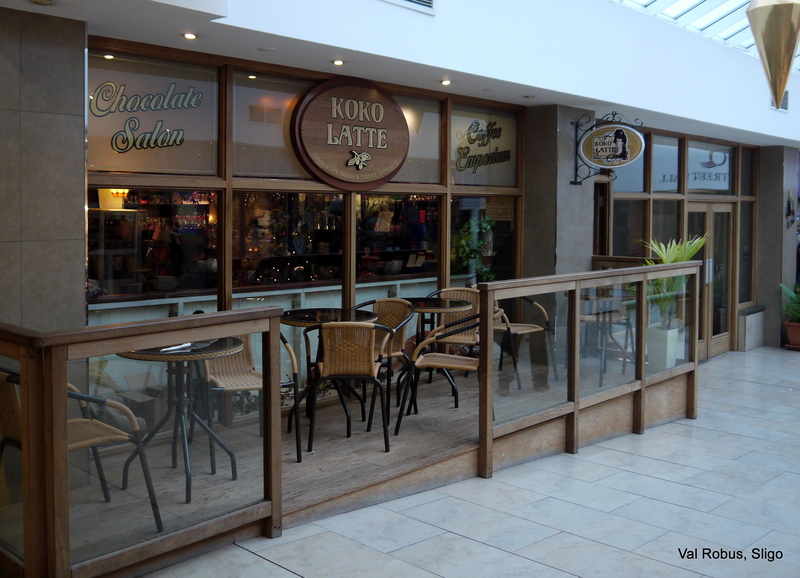 KoKo Latte is no longer opened, sadly missed from Sligo. You can check out KoKo Lattes Facebook page. Also the rest of my photos are here.